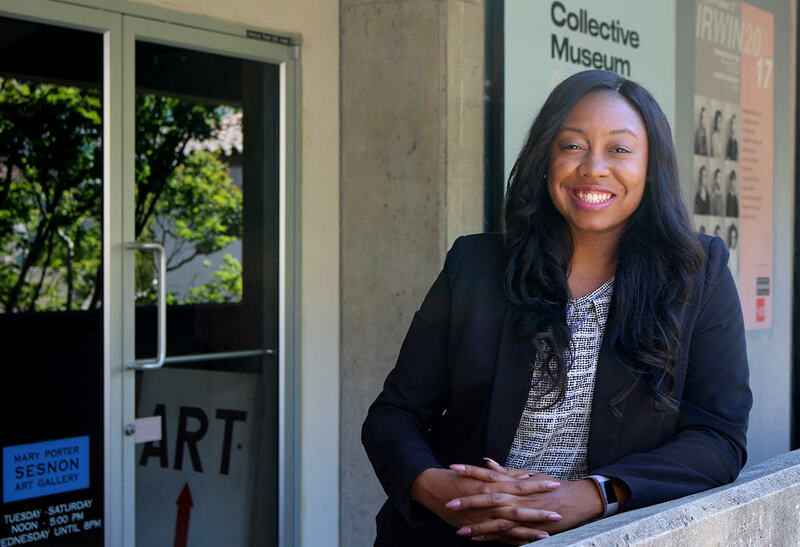 Danette comes to UC Santa Cruz from Chicago, IL where she had an extensive career in education touching upon areas in academic affairs, career coaching, admissions and outreach, diversity and inclusion, and student success. Danette is charged with advocating for Arts Division students across campus, managing the Creative Entrepreneurship Internship program, and identifying additional resources that promote student success. Danette's area of research and passion revolves around the persistence of underrepresented (first-generation, minority, and low-income) students in Higher Education. As a first-generation college graduate herself, she aspires for students to know that by fostering self-efficacy and provided with the proper guidance and sufficient resources students will be prepared to enter the global and creative landscape confidently as artist entrepreneurs who feel empowered to establish their unique place in the arts and creative industries. Therefore, by creating a student advocate in the Arts Dean's Office this maximizes students opportunity for success through a personalized approach. We will accomplish this through recruitment and outreach, advising, leadership development, implementation of student engagement & success strategies, fostering academic and personal growth, access to resources and opportunities, and career readiness, all within an inclusive environment that will increase academic success for UCSC artists who will shape the culture of the 21st century. To learn more about Danette and this key new position, you can read her bio page, and read the press release.